The insurer is adding American Well's AMWell service to its existing MDLive options to enable doctors to treat patients with minor medical conditions remotely. Cigna is expanding telehealth with new services for members enrolled in medical and behavioral health coverage in 2017. There is no additional cost to consumers. The same cost share will apply to video-based services as face-to-face office visits, Cigna said. As customers become responsible for a larger percent of the medical costs, telehealth offers provider access at a fraction of the cost of conventional points of service such as retail clinics, urgent care and emergency room visits, according to Cigna Telehealth Lead Robert Wijnhoven. "Cost is especially important for customers on the public exchanges, which is why we are extending this benefit beyond our employer-sponsored plans," Wijnhoven said. Telehealth will become a standard benefit for most of Cigna's employer-sponsored group health plans in the United States, as well as many of its individual health plans, both on and off public marketplace exchanges. This represents a significant expansion of the company's telehealth coverage. The insurer is adding the telehealth app AMWELL, by American Well, to its existing offering of MDLIVE. Cigna added MDLIVE in 2013, a service that supports an estimated 30 percent of its group medical population nationwide. Both AMWELL and MDLIVE operate national networks of board-certified doctors who are able to treat minor medical conditions such as allergies, cold and flu and sinusitis, Cigna said. Both will have the capability to to share consult notes with the consumer's primary care physician. In January, Cigna will also add telehealth video consultations between the company's contracted behavioral health professionals and customers who have mental health/substance abuse benefits. Customers will have the option for individual therapy or medication management. 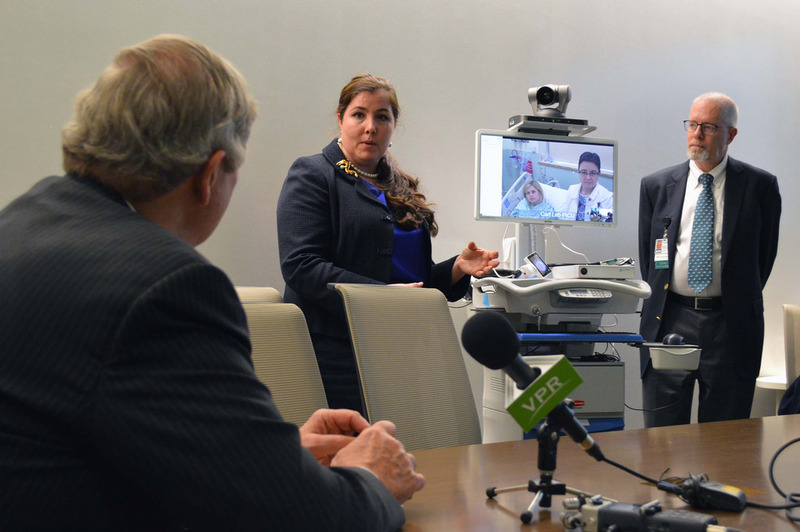 "Since Cigna began offering telehealth to customers 10 years ago, we've learned a few things about how we can help people benefit from their plans in the ways that matter most: increased access and convenience, choice, care quality and affordability," Wijnhoven said. "We also know about the difficulty some Americans have accessing a behavioral health professional, especially in rural areas." Clinical services via American Well's telehealth platform are not currently available in Arkansas and Texas, and MDLIVE is not available in Arkansas and is limited to video-only in Idaho and phone-only in Texas.